Looks like southern California, doesn’t it? 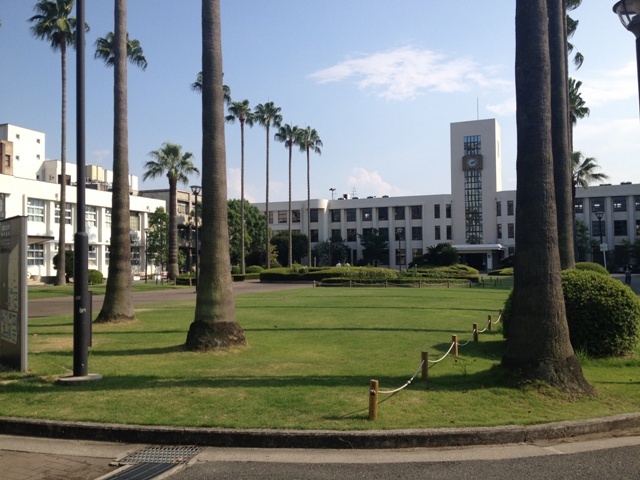 Actually, this is Osaka City University located in Sumiyoshi-ku in Osaka City. 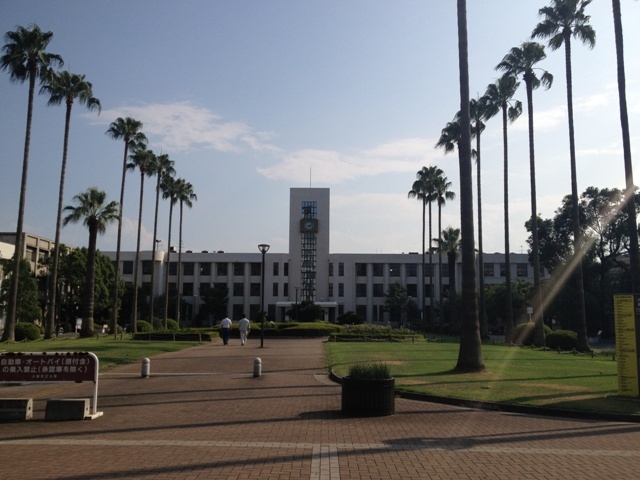 There used to be several public universities in Osaka City, but this is only the public university proudly remained in Osaka City. Other universities moved to suburban areas. 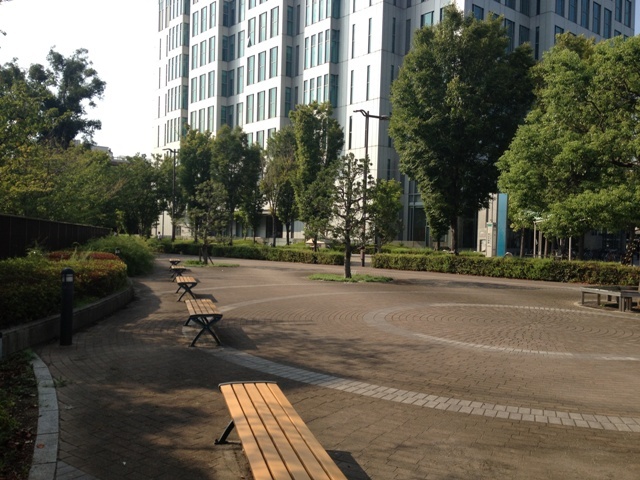 It is still during the summer vacation, so there are not so many students now. It’s quite a big school. 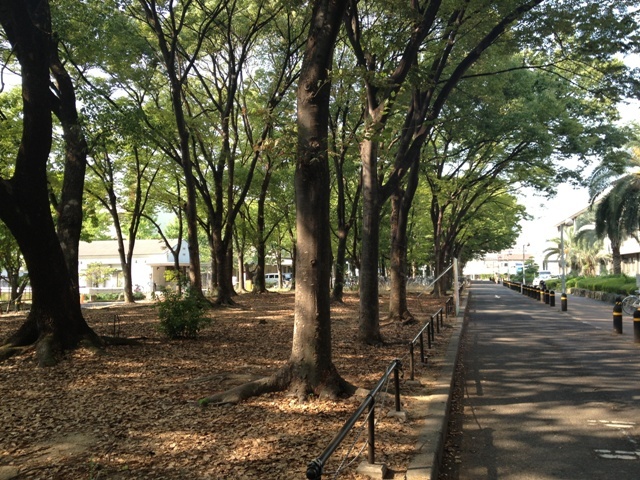 I sometimes go there to use the library. If you are an Osaka Citizen, or if you work in Osaka city and you have an official ID for that, you can get a library card for 2,000 yen. They have huge amount of books. 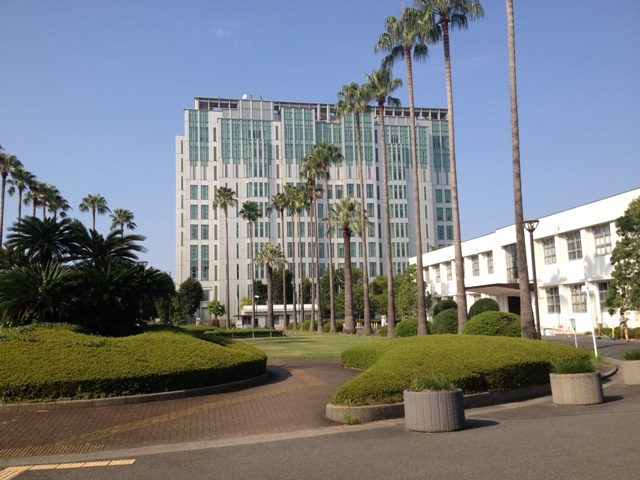 The tall building is their library. 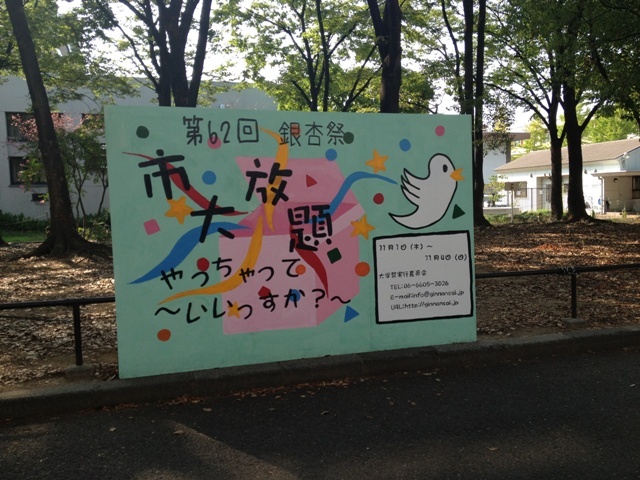 They have school festival from November 1st to 4th.